I thought this would be a great time to discuss some of the ways we can prepare for when 5.2 goes live and we can once again attend to the important business of watering the tree of awesome with the blood of our enemies. Weâ€™ve already covered that the way PvP gear is acquired is changing in patch 5.2, but Iâ€™ll briefly recap. Malevolent Gladiatorâ€™s gear will be available for purchase with Honor Points. Tyrannical Gladiatorâ€™s armor will be available for purchase for Conquest Points without meeting any currency requirements. Tyrannical Gladiator's weapons can be purchased after earning 7,250 Conquest Points for the season. A new tier of Elite Tyrannical Gladiator's gear will be added that becomes available once 27000 Conquest Points have been earned for the season. Team Rating will gradually increase during the season for teams and players who continue to compete in PvP. This system is explained in the Mists of Pandaria PvP Dev Watercooler. If youâ€™re just starting your PvP journey in 5.2, then you might want to think about investing in a set of crafted Dreadful Gladiatorâ€™s gear to get started on the right foot. If youâ€™re already wearing Malevolent Gladiatorâ€™s gear in patch 5.1, then you could be faced with a choice. 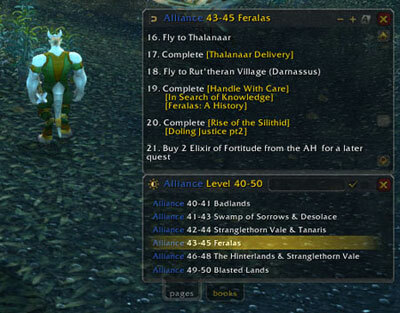 In patch 5.2, the Item Upgrade vendors will no longer be active. A new set of non-upgradeable Malevolent Gladiatorâ€™s gear is being introduced in patch 5.2; though it is technically a lower item level, it also has boosted PvP Power and Resilience to compensate. So, if you have the points to buy gear, do you buy a current Malevolent piece now, do you upgrade an existing piece before patch 5.2 arrives, or save points to buy new pieces once patch 5.2 arrives? Keep in mind that a fully upgraded (2/2) piece of 5.1 Malevolent Gladiatorâ€™s gear will be slightly better than its 5.2 counterpart, so if you already own pieces that you havenâ€™t fully upgraded yet, then going for full upgrades might be a good course of action. On the other hand, even a piece that isnâ€™t fully upgraded will be about as good as one of the brand new pieces in patch 5.2. Since any Conquest Points you have when patch 5.2 arrives will be turned into Honor that can be used to buy Malevolent pieces when the patch arrives, itâ€™s up to you to decide how you want to spend those points. Knowledge is power! Lots of class changes are coming in patch 5.2, so itâ€™s a good idea to stay up to date on the latest changes by visiting the PTR patch note blog, and reviewing the class notes. Take note of the class changesâ€”knowing what you, your teammates, and your foes are capable of will help shape the team compositions you use and the tactics you employ in battle. If youâ€™re feeling particularly feisty, you can download the Public Test Realm Client by visiting the Account Management page to experiment with the coming changes firsthand. Not only will you be helping us test the upcoming patch, but youâ€™ll gain a keener grasp of what the changes will mean for you. What About Mid-Season Catch Up? Thatâ€™s actually planned for patch 5.3. You can read more about it in the PvP Gear in 5.2 and Beyond blog I mentioned earlier. When Does The New Season Begin? Patch 5.2 is arriving soon, so keep an eye open for the blog announcing next seasonâ€™s start date. It can be difficult finding and fielding a team for organized PvP. If youâ€™re looking for allies, you have many places to begin the recruitment process, ranging from the official forums to fan sites like Arena Junkies (also a great place to look for information), to just hopping into the General channel while playing to see if someone wants to play a few games. If youâ€™ve had success finding or forming an Arena Team or Rated Battleground group, how did you go about it? Let us know in the comments.